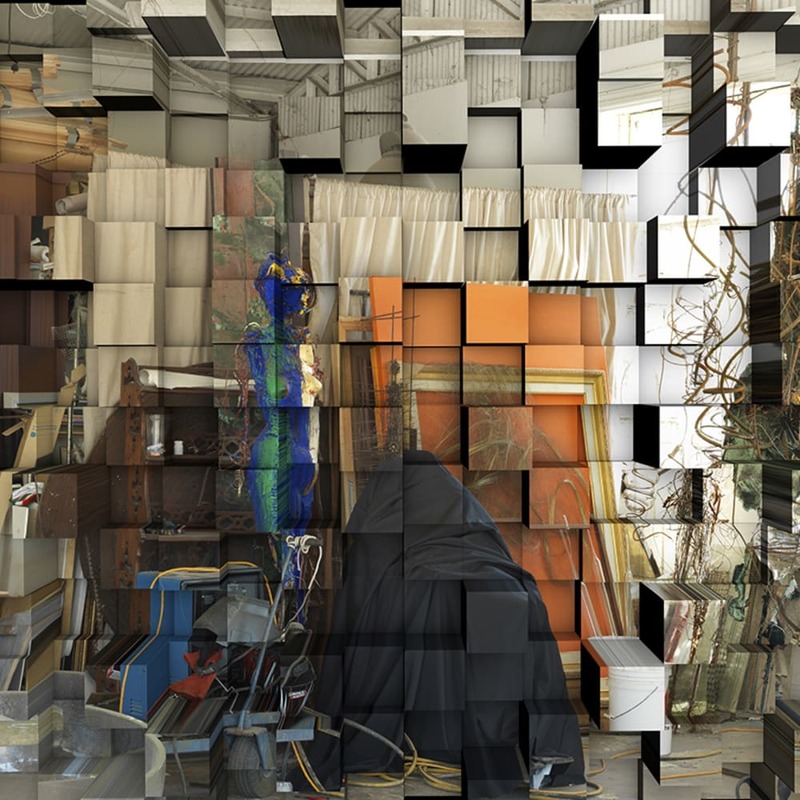 Diane Rosenblum and Joe Doyle (R&D) are extending the bounds of photography, using computer based manipulation of images to reconstruct the picture plane. 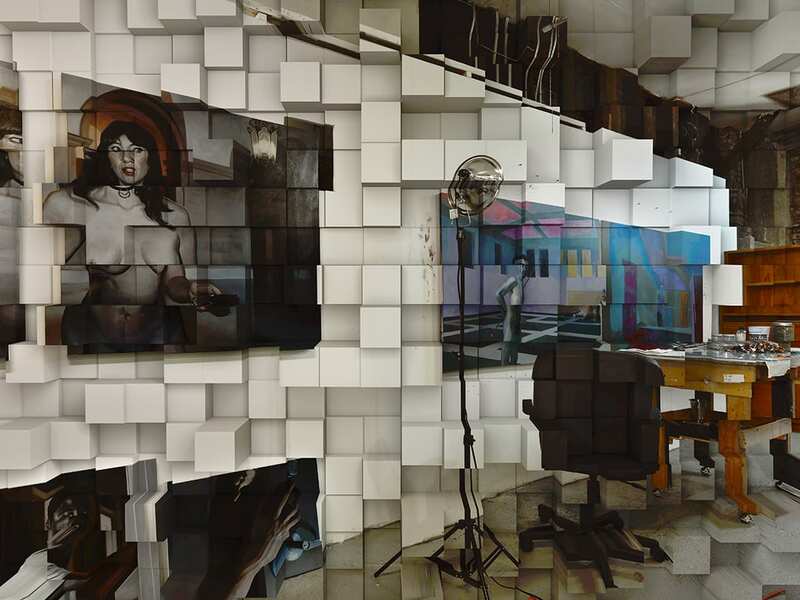 Their present subject is the artist’s studio—a primary physical locus for manifesting new ideas. 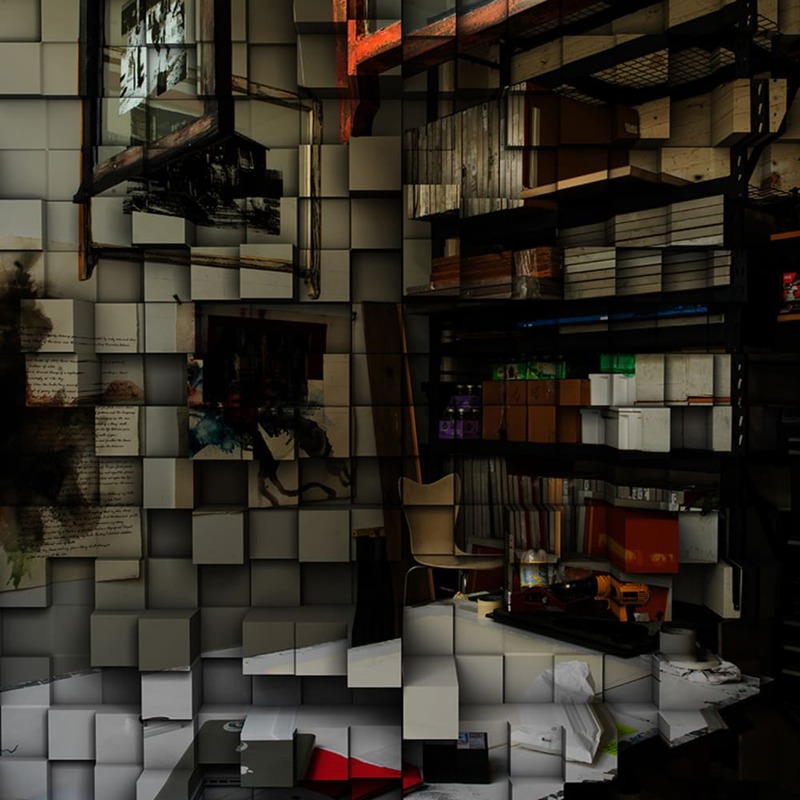 In their early work R&D broke traditional camera views of Bay Area artist’s workspaces into hundreds of blocks—think Braque to the N. This method renders every block in the larger studio representation a discrete composition. 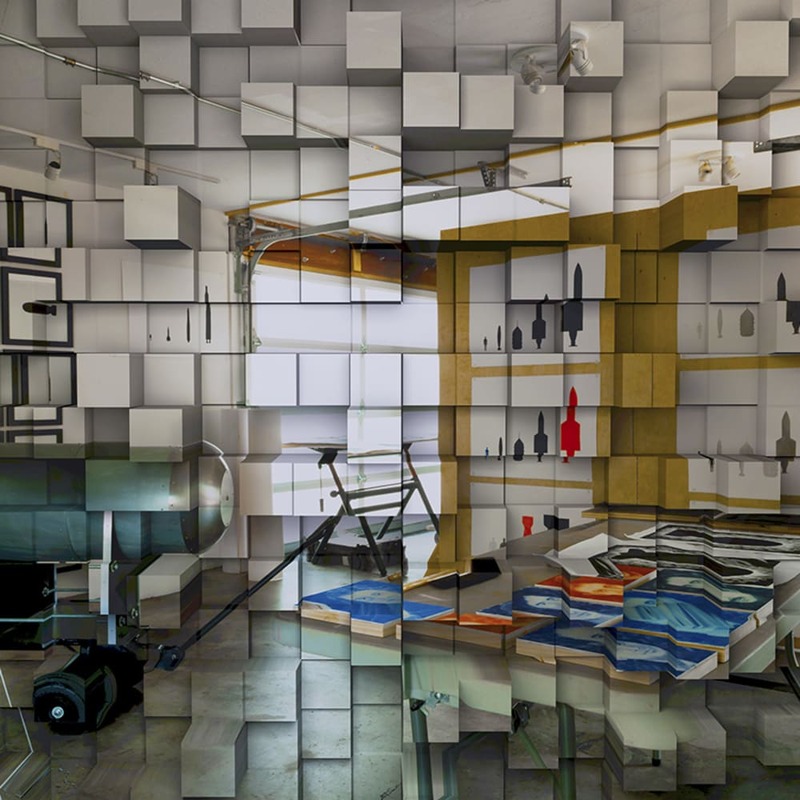 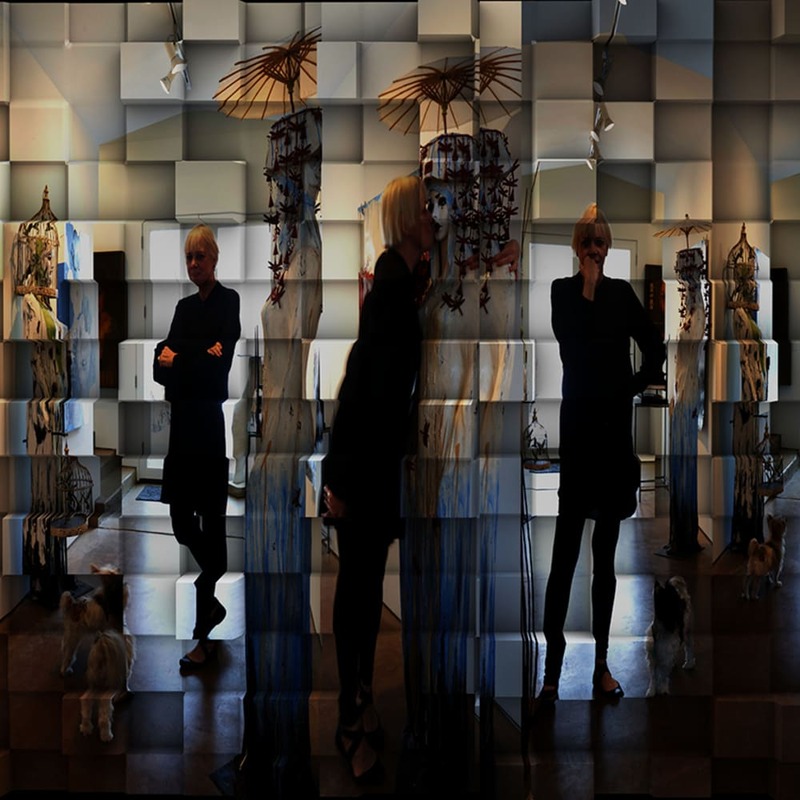 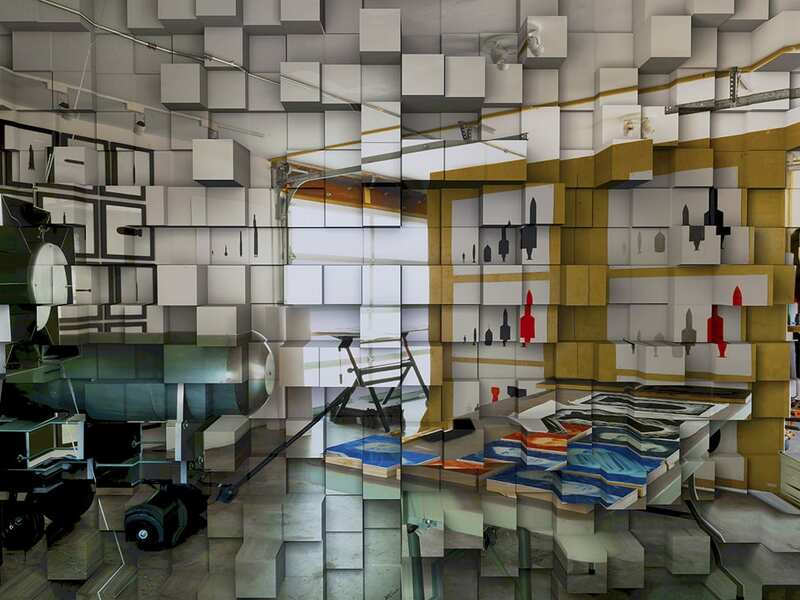 The comprehensive image, accordingly, presents coincident realities — the original camera view documenting the artist’s studio, and the computer rendering that has shifted blocks forward through and back from the conventional picture plane. 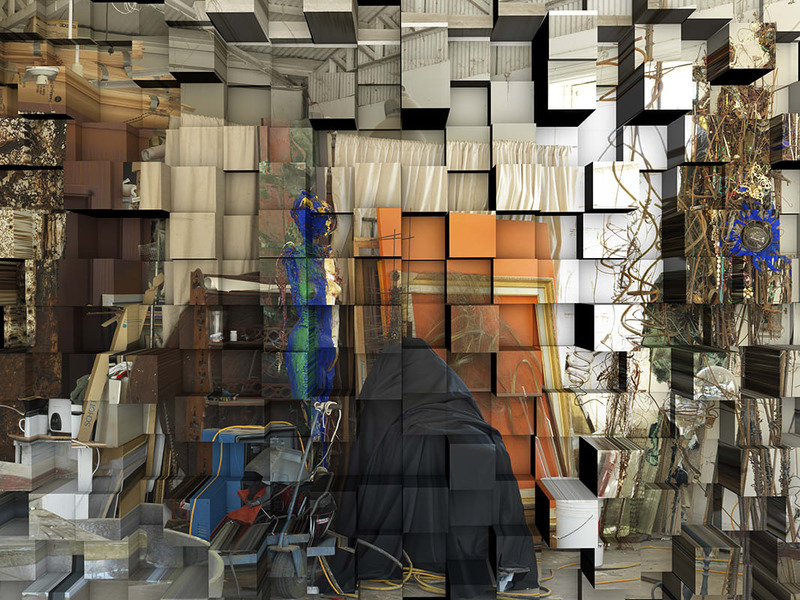 In their current work, Rosenblum and Doyle have taken this transformational process further. 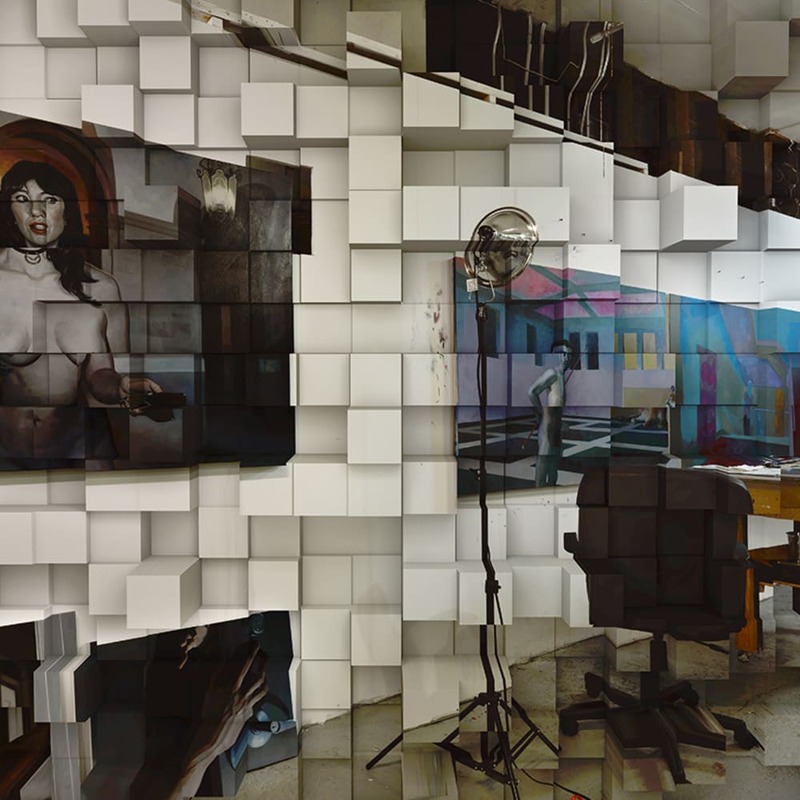 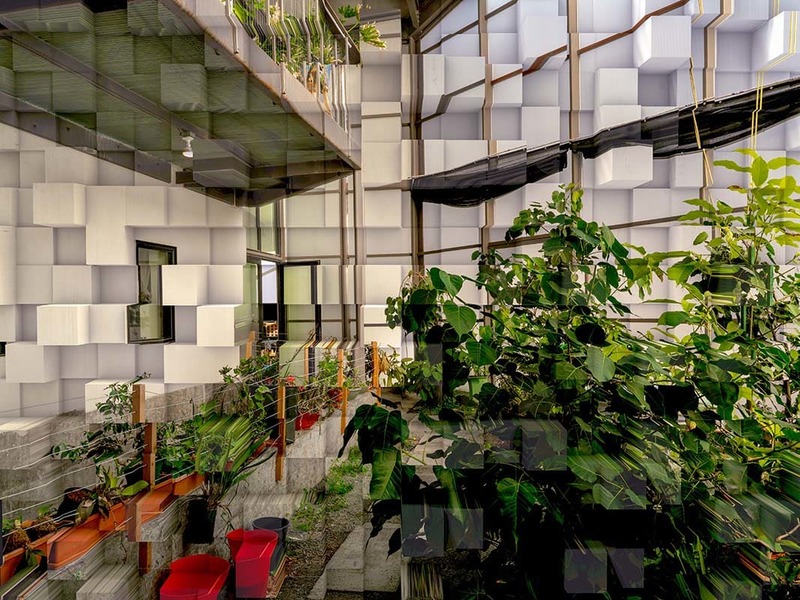 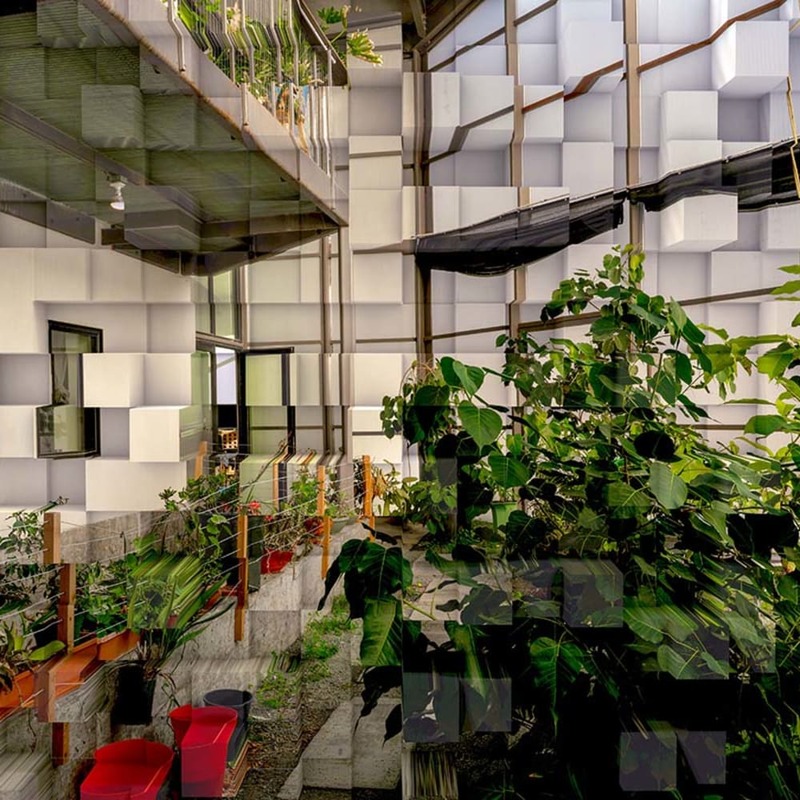 Their most recent productions are dynamic multi-image reconstructions of artist studios, presented as large-scale installations extending up to thirty-one feet. 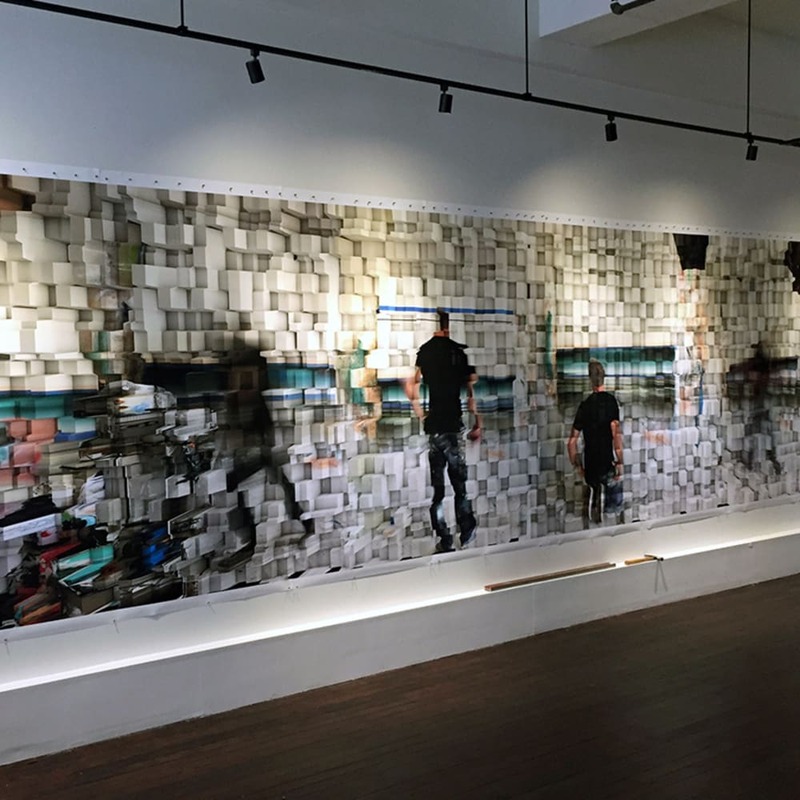 These dramatic spatial interventions inject a new dimension—time—into the work, recalling Edweard Muybridge’s photographic sequences, but differing substantively. 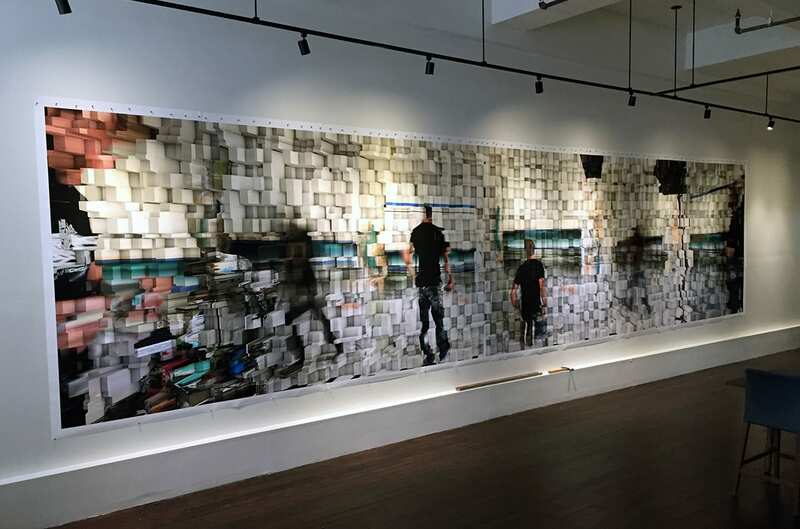 Unlike Muybridge, R&D’s photographs capture non-cyclic activity, thereby creating a new reality—as opposed to simply exposing a hitherto unseen physical truth. 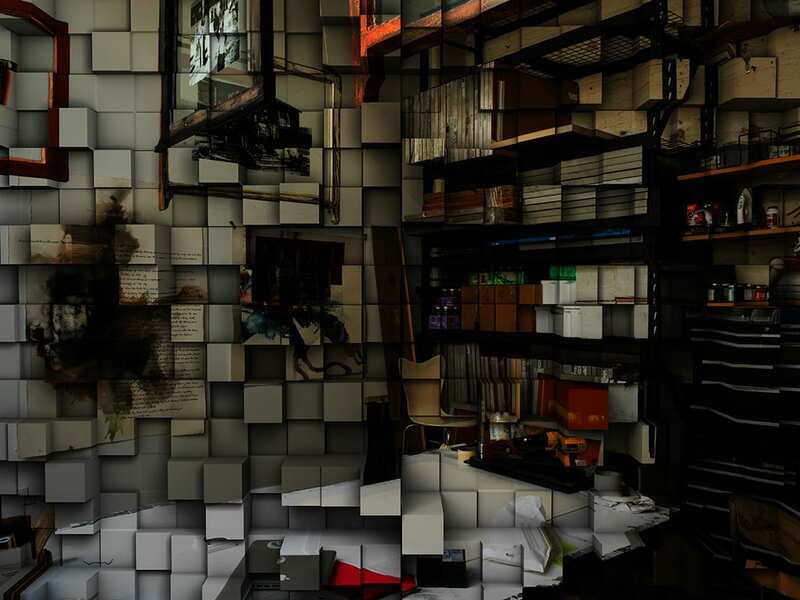 These latest images visually instantiate R&D’s animating principle that the computer, as did the camera before it, permanently alters the way we can see, shape and understand the world.